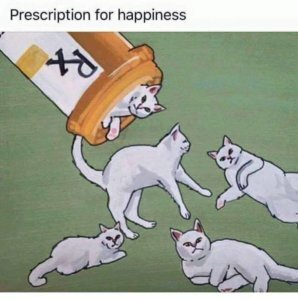 One of the most stressful parts of being a pet owner is making medical decisions. At NSVH, our goal is to help our clients work through this process by pointing them in the right direction, with the best options. Often times such decisions involve veterinary prescriptions; with the plethora of online pet pharmacies available we feel it is important to help our clients identify the safest choices! In the past several years, there has been an increase in online pet pharmacies drawing in consumers with their “no prescription required” and “deep discounts” on veterinary items. Despite the fact that these pharmacies may have websites that look legitimate and promise safety of their products with “satisfaction-guarantee” return policies, what they don’t disclose, and what some consumers don’t know to look for, are accreditations that attest to their regulatory standards and the authenticity of their products. While you may already be shopping at a reliable online pet pharmacy, there are many pet owners who have been victimized by unethical online pharmacies selling fraudulent products. The Food and Drug Administration (FDA) has categorized numerous incidents where illegal online pet pharmacies have sold expired medications, preventatives with incorrect doses or instructions, and items that have been kept in improper storage conditions for extended periods of time (i.e. prescriptions that require refrigeration being exposed to intense heat) rendering them ineffective and potentially toxic for Fluffy. 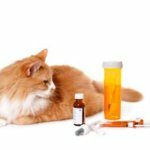 Many veterinary prescription medications sold online are obtained illegally; these products do not carry the guarantee of the drug manufacturer, which means the drug companies will not provide financial and medical support in the event that your pet has an adverse event from a medication. In heed of these warnings, Dr. DiGiacomo has created NSVH’s online pet pharmacy through Vet’s First Choice (VFC) offering online prescription requests and monitoring, free shipping on auto-shipments or orders over $49, and convenient refill reminders! Our online pharmacy provides all the conveniences of online shopping with the guarantee of safe and FDA -approved products straight from the original manufacturer for prescription pet foods, medications, and preventatives. Vet’s First Choice bridges the gap between NSVH and our clients by providing an easily accessible online platform that allows us to ensure Fido’s individualized needs are being met. All VFC online pharmacies are accredited by the National Association of Boards of Pharmacy, in addition to the state’s board pharmacy, the FDA, and Drug Enforcement Administration (DEA). They also work in conjunction with the Payment Card Industry Data Security Standard (PCI-DSS) to help protect and process secure transactions. If it is your first time visiting our pharmacy’s website, we hope that you will take the time to create an account to streamline your shopping experience. To do so, venture to the upper right hand corner of the NSVH-VFC website and follow the “Create an Account” link. As with any purchase, we can appreciate the importance of doing one’s due diligence which is why we keep our products priced competitively and offer a $5 coupon off of your first order! New and current patients can call or stop by to receive the coupon code. Next time you are planning to place an online order for Fluffy, The FDA and NSVH ask you to be A.W.A.R.E! A – Ask us about trustworthy online pet pharmacies and the frequency of which additional monitoring or testing is required. A – Always confirm the pharmacy’s accreditation with Vet-VIPPS. 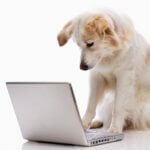 R – Report any suspicious activities that you may see on pet pharmacy websites. E – Educate yourself and check for the warning signs on the online pet pharmacies that you patronize. Visit NSVH’s online pharmacy today! *If you are not able to follow the link, our online store and pharmacy can be accessed by copying and pasting the following: https://newtownsquarevet.vetsfirstchoice.com/.